The pillow top is an added layer of soft padding stitched to a mattress's top. Besides supplying an extra layer of sumptuous, cloud-like luxury, the pillow top mattress is also effective for soothing side sleepers' hip and shoulder pressure points. Pillow top beds are made of latex foam, memory foam, fibers, down, and sometimes soy. 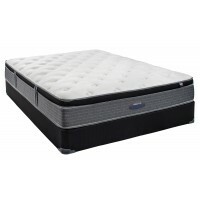 The top layer can give even the firmest mattresses a softer feel for a heavenly sleep.